The Wrestling Estate‘s David Gibb and our own Nick Bond are here with their off-cycle supplement to the pleasantly in-depth discussion on what makes professional wrestling, well, professional wrestling (and, at least every other week) what that means for the world. This week, they talk about The Four Horsemen, the fourth entry to our wrestling compendium. 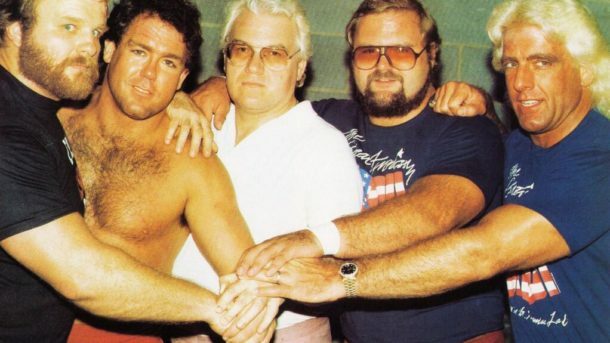 They discuss the original four, what made the group work, the fundamental differences between being a franchise and a team, and most importantly whether or not Arn Anderson should have been World’s Champion at some point. We’ll also be announcing next week’s topic for How Wrestling Explains The World.